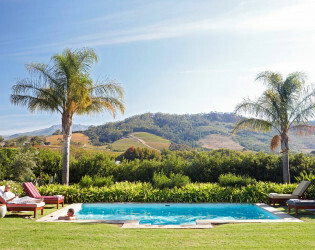 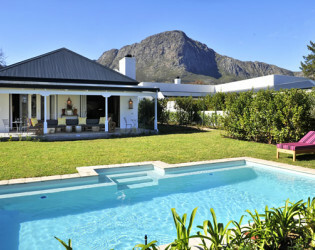 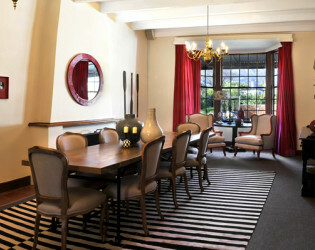 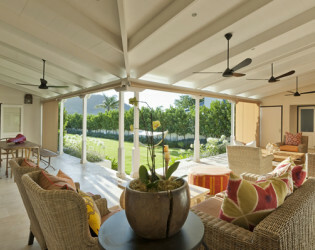 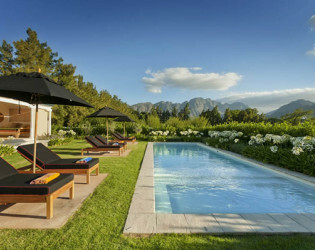 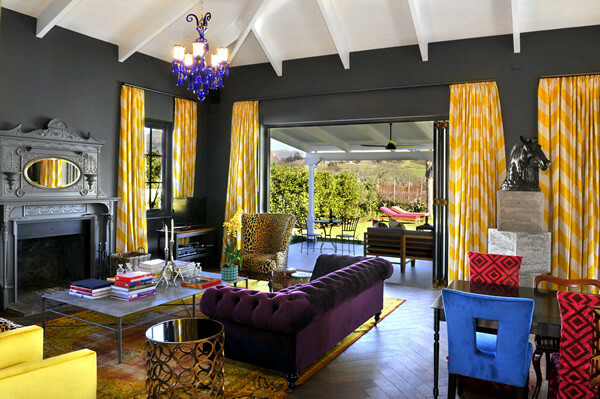 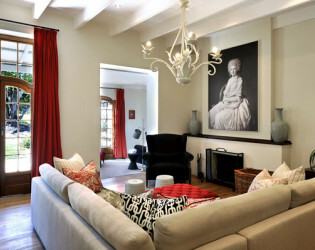 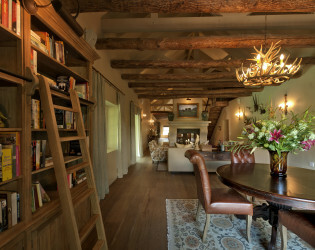 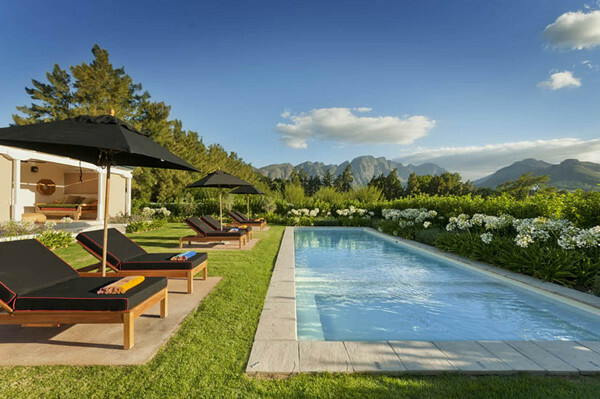 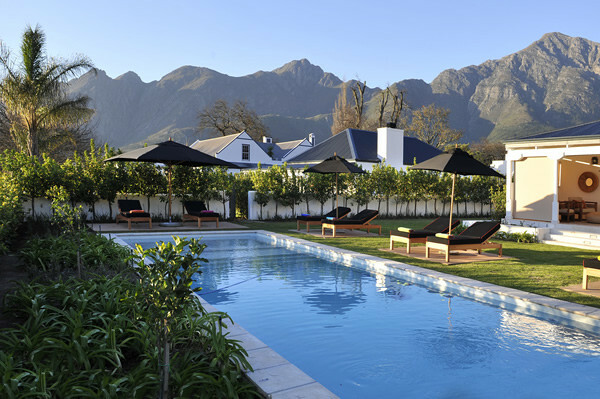 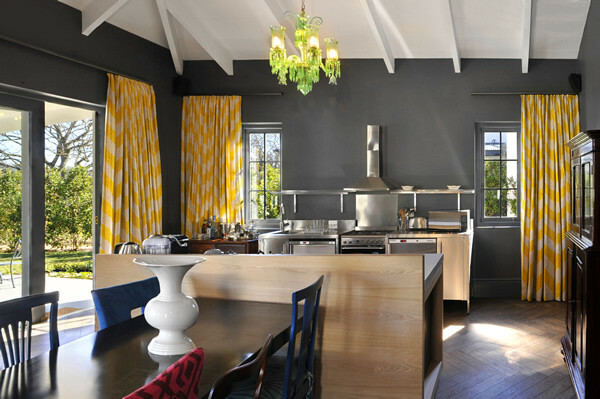 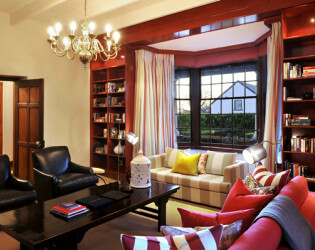 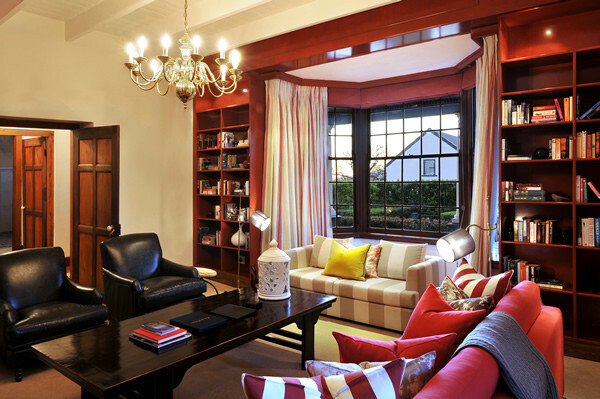 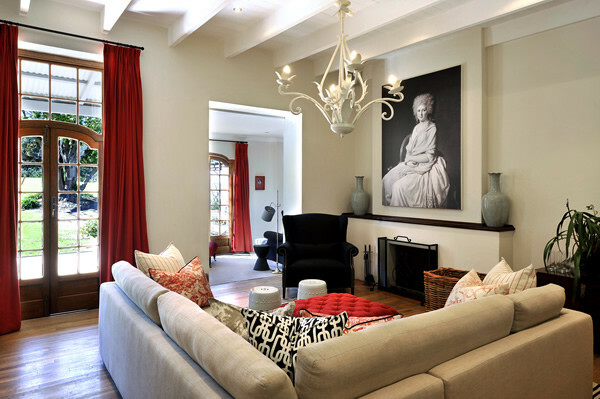 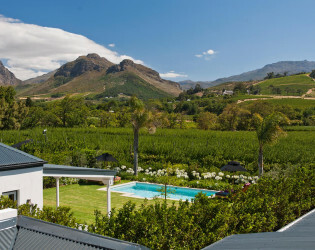 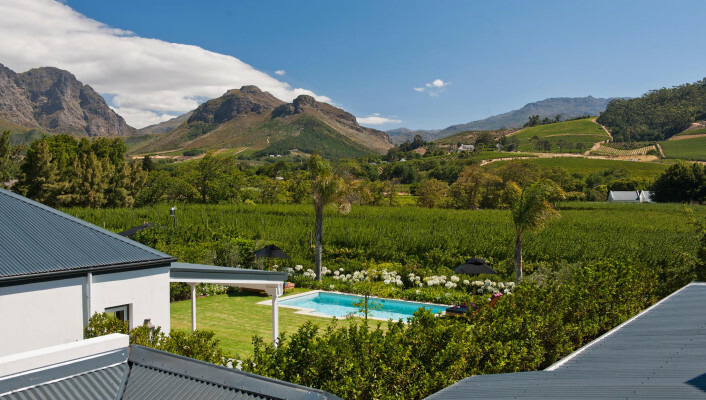 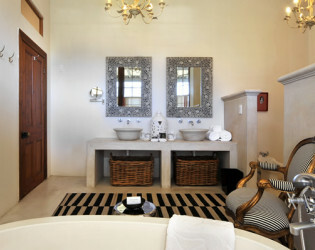 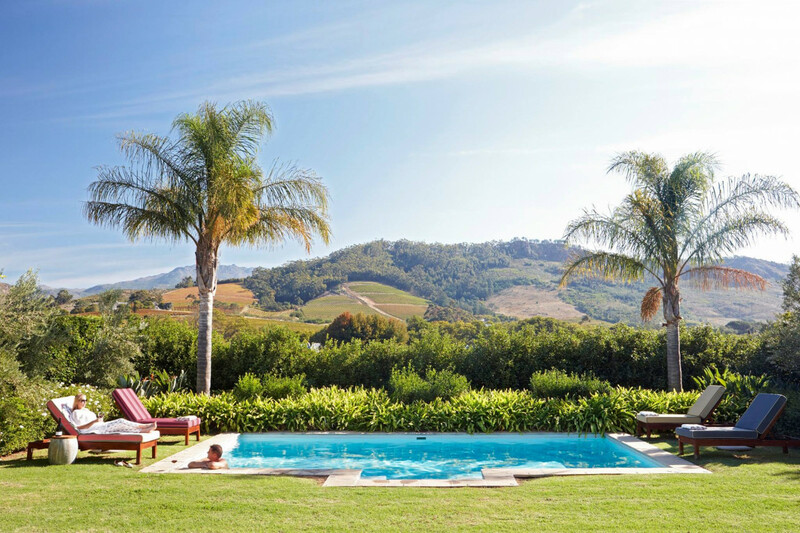 This spectacular collection of vineyard villas is the heart of the charming Franshhoek valley. 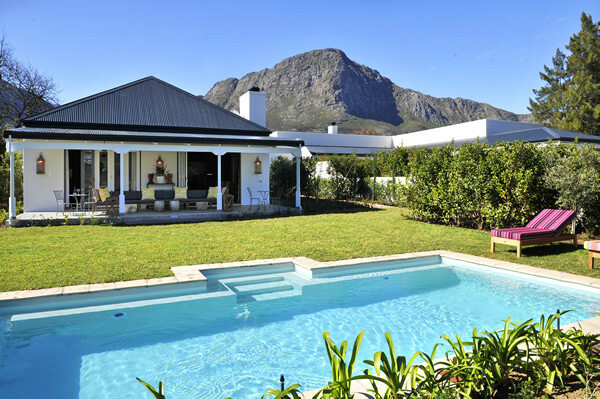 Whether you wish to get married at La Clé des Montagnes, host a private party or celebrate a special occasion these venue villas are at the ready with private pools, glittering chandeliers and large fireplaces. 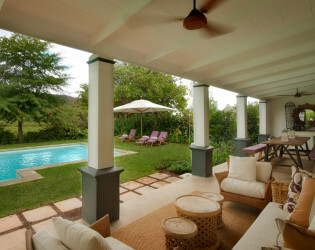 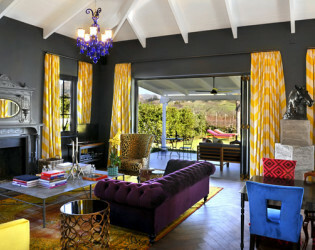 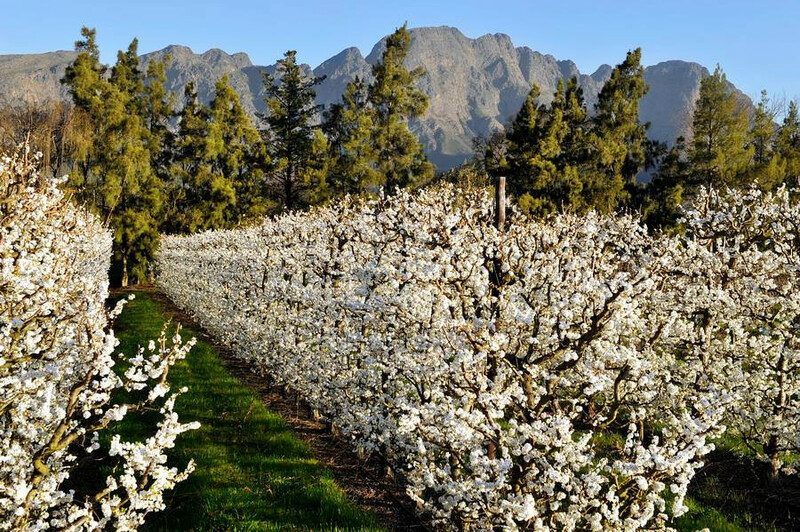 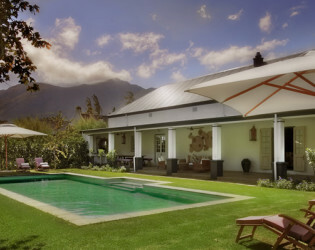 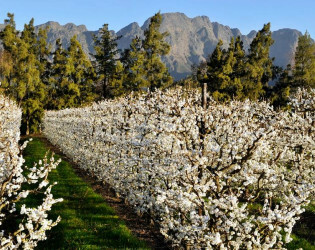 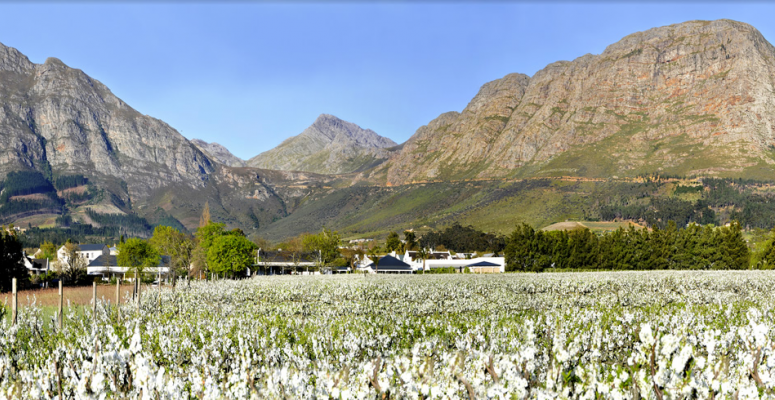 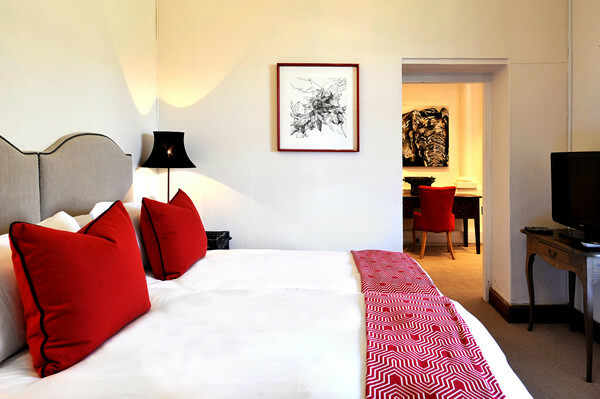 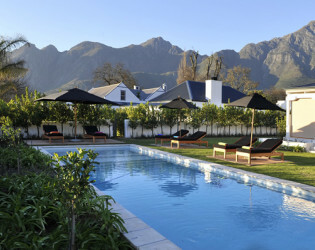 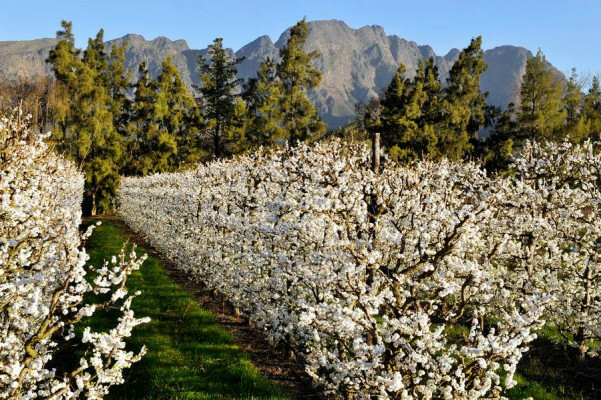 La Grange is set on a working wine farm and plum orchard- 5 minutes away from the charming village of Franschhoek. 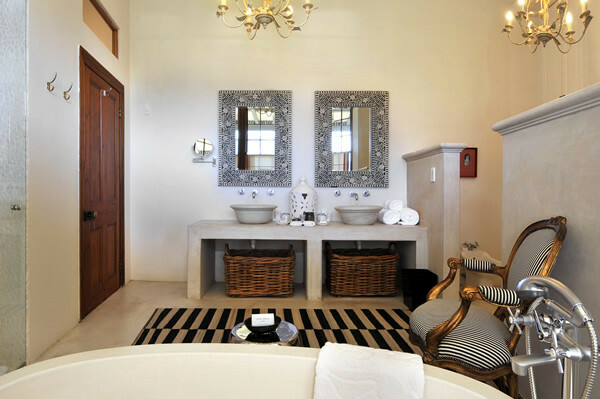 If you wish to stay on site and enjoy the unequivocal ambiance, each villa has a private swimming pool and is fitted with beautiful chandeliers and large fireplaces. 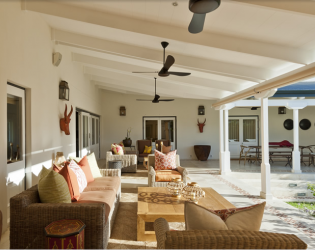 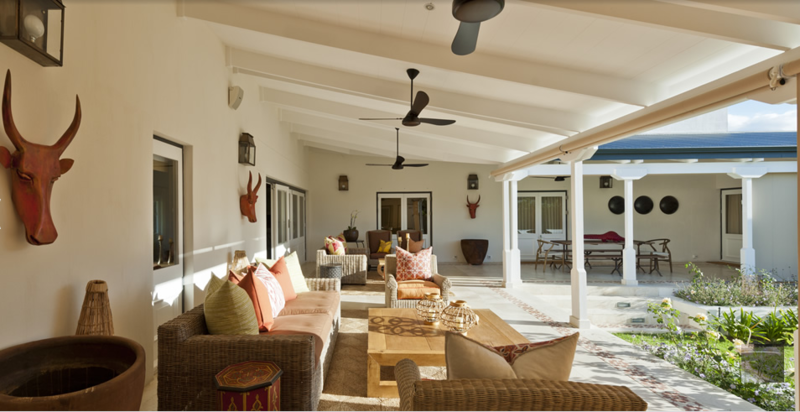 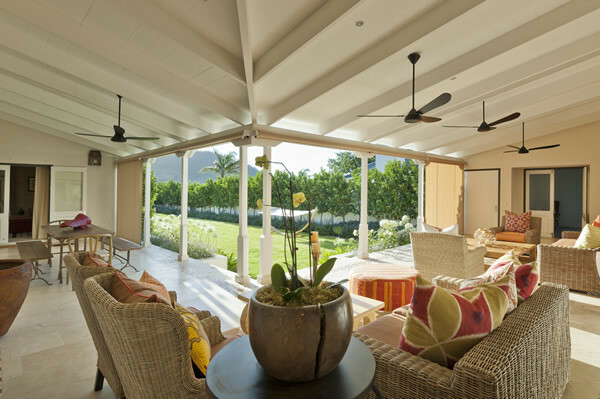 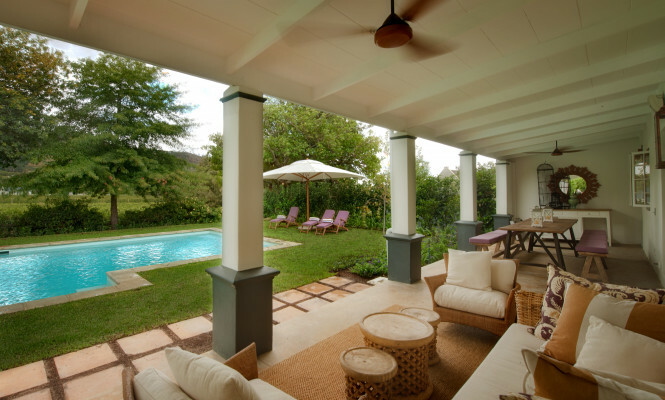 You can relax and unwind while you sample the region’s renowned wines and excellent cuisine prepared from the freshest local ingredients without moving from the deep, plush chairs of your private verandah. 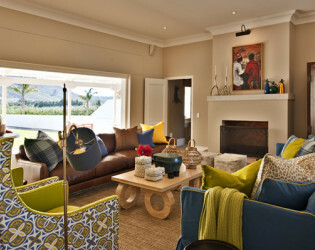 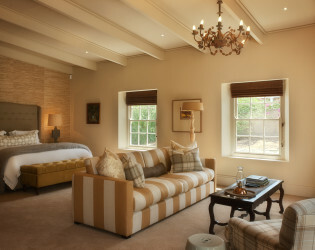 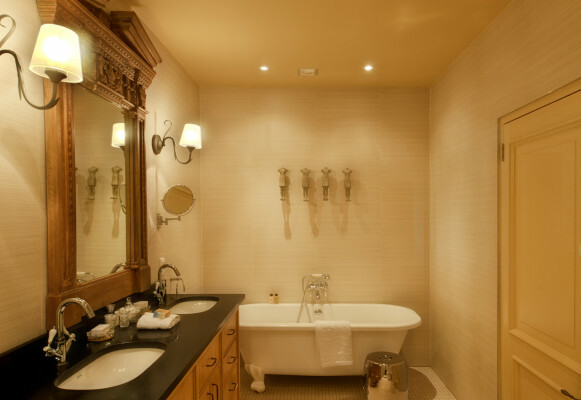 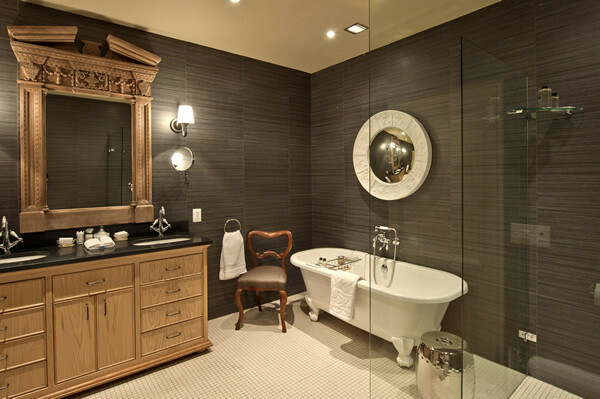 This sophisticated villa’s ambience was inspired by the elegant textures and plush fabrics of a highlands lodge. 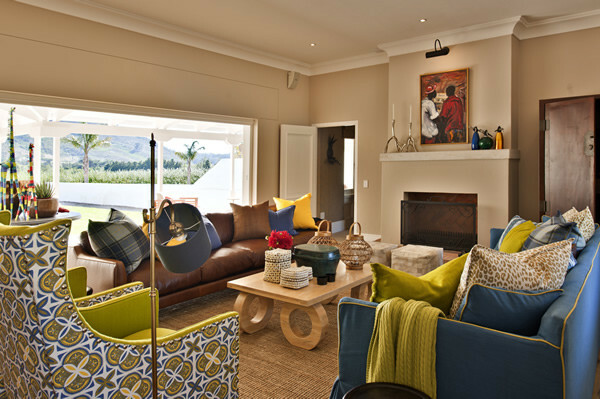 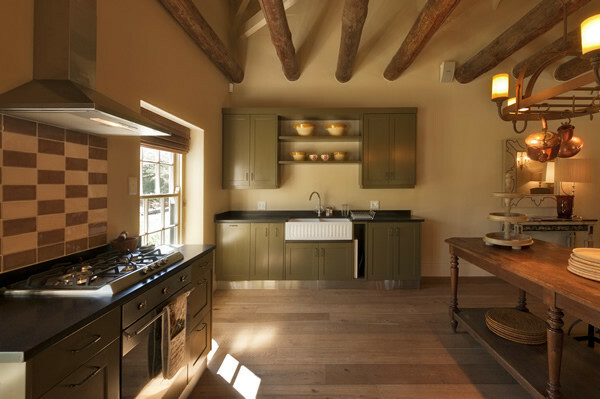 The warm palettes that make up the interior have been carefully selected to reflect the seasonal hues of the surrounding orchards and vineyards. 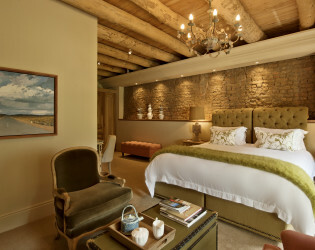 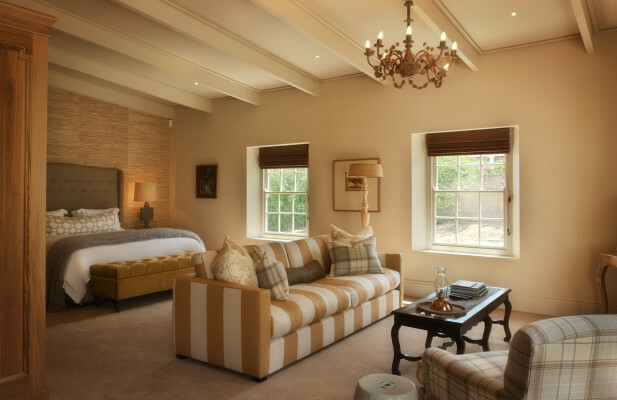 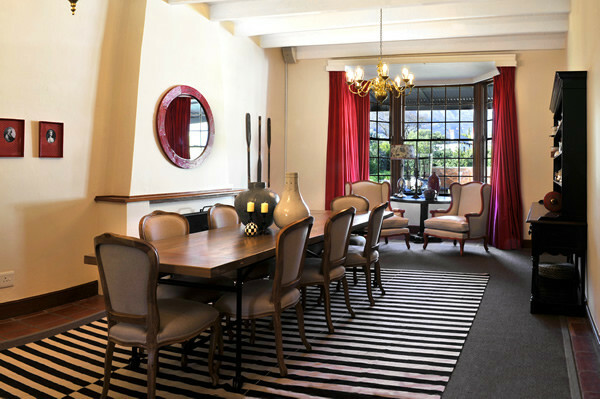 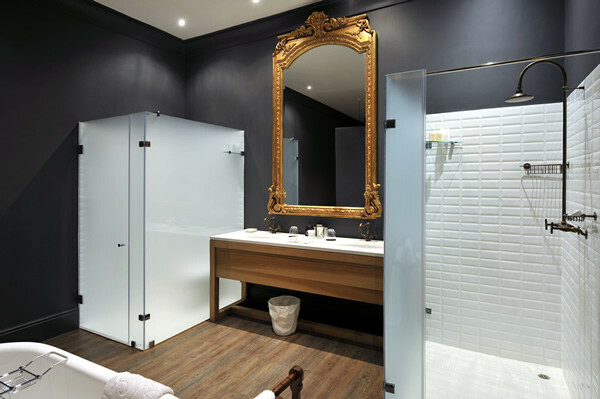 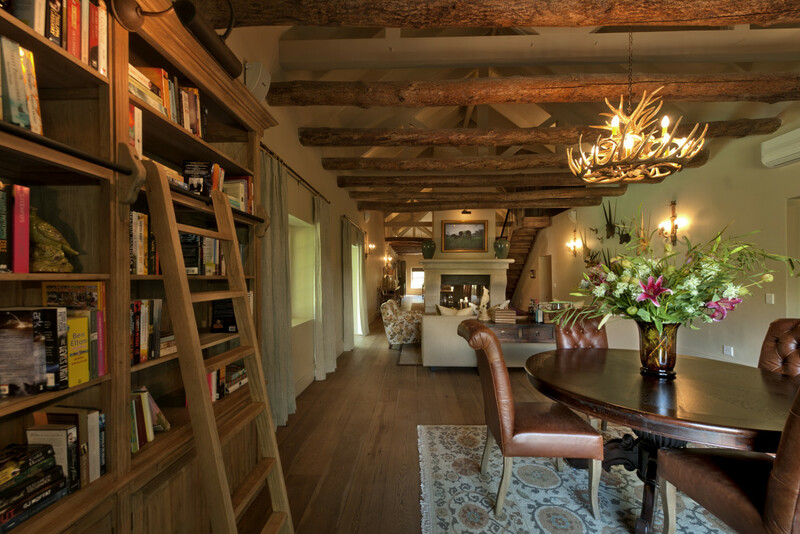 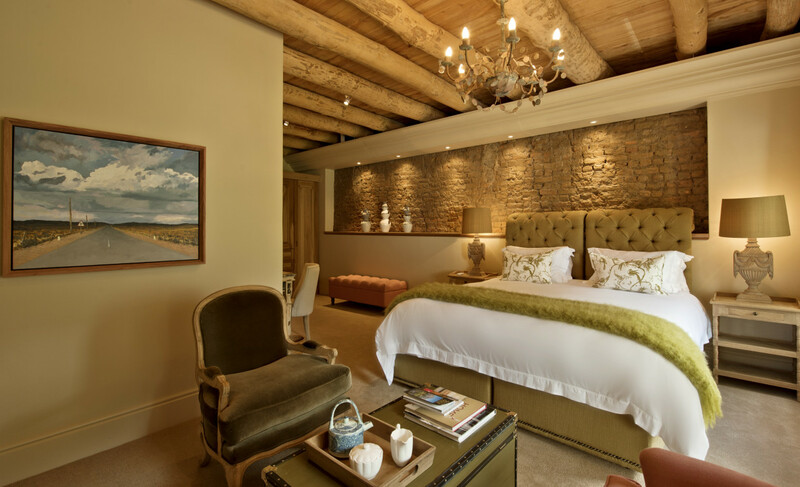 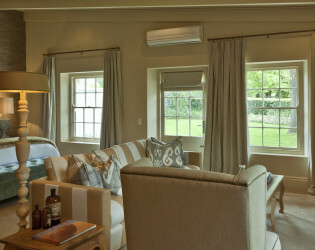 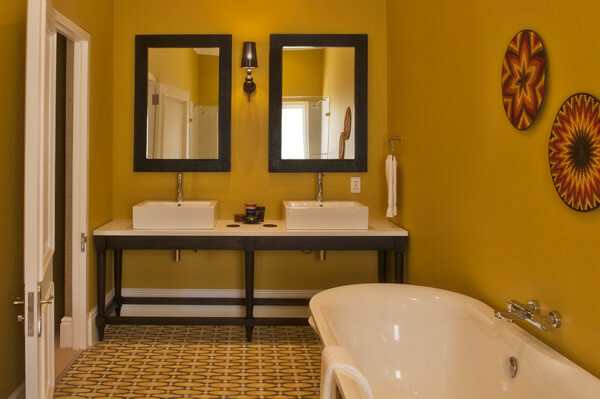 La Grange’s interiors are infused with stylistic elements reminiscent of a Victorian farmhouse – while large plush furnishings will ensure that guests will receive nothing less than a luxurious stay. 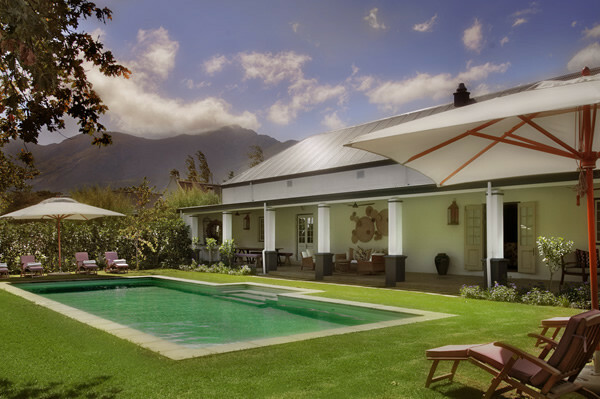 At La Clé des Montagnes our team of professionals endeavour to meet your every request. A personal butler service is always on hand. 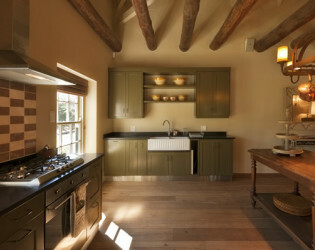 And if you require this, we are happy to provide you with your own gourmet chef. 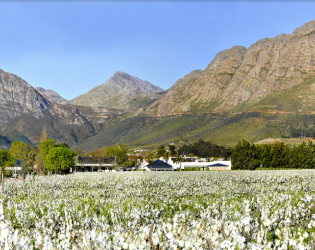 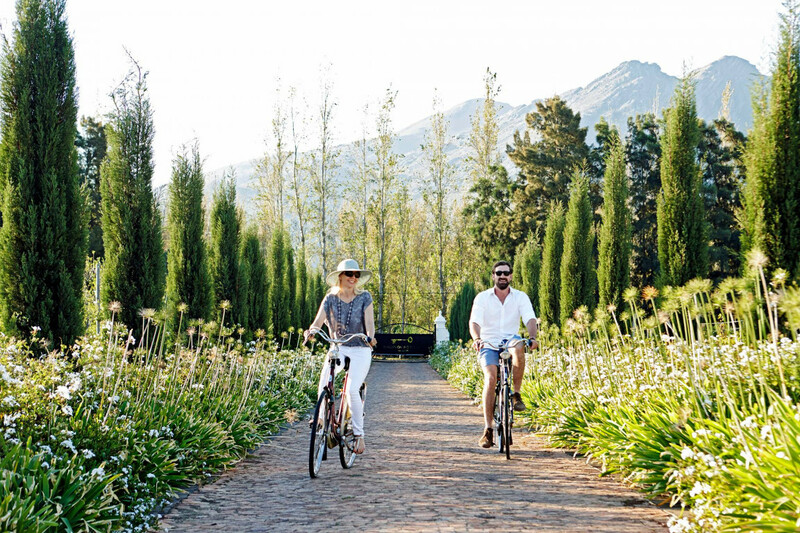 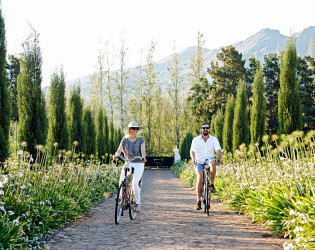 Enjoy a private tour of one of Franschhoek’s award winning wine estates, create your own unique blend of wine, or have a helicopter collect you when you arrive at Cape Town International Airport. 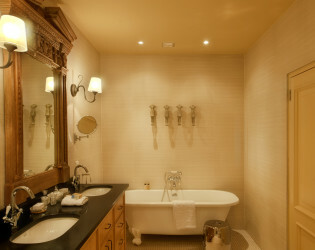 You relax while we take care of every detail. 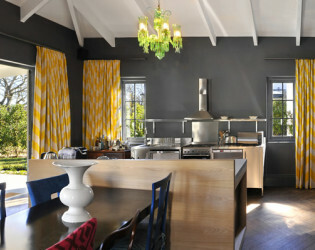 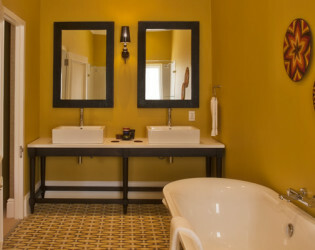 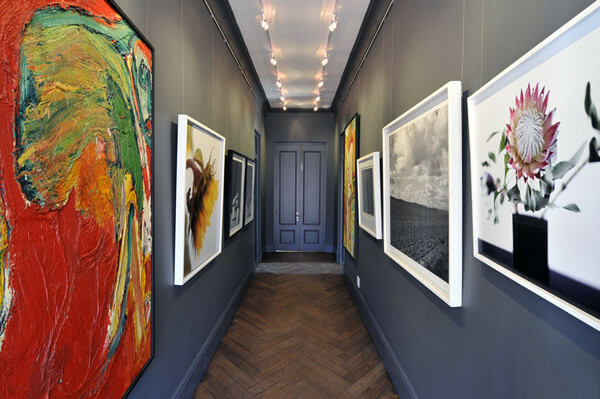 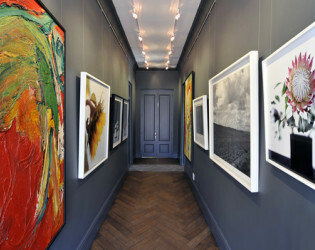 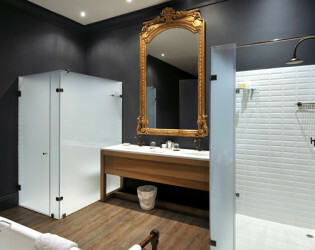 The villas have been uniquely themed by esteemed interior decorator, Sarah Ord. 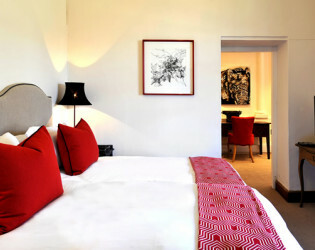 Select one to suit your preferences and look forward to your personalised stay with us.